Bring a generous amount of water to a boil. Add the soba noodles. Once the soba noodles are done, immediately drain and rinse under cold running water until no longer slippery. Drain the soba noodles and place on a serving plate. 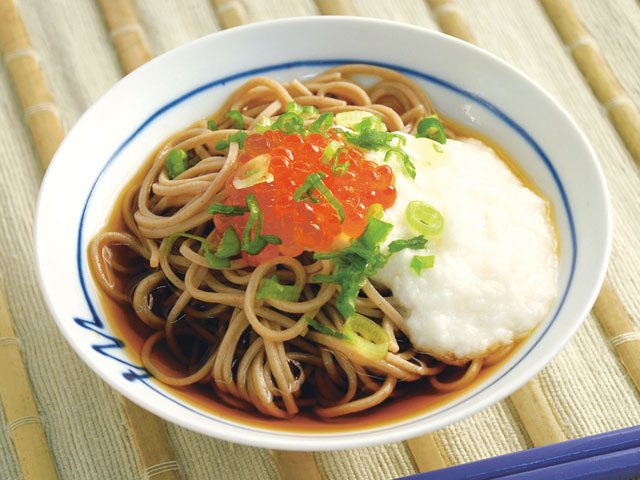 Pour the tororo over the soba and place the ikura and sliced green onions on top. Pour Nijiya Soba-tsuyu over and serve.